Description : - In summer season we love to eat mango and mango delicacies. 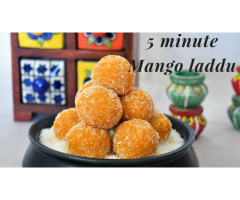 Today I am going to show a quick, easy and a simple recipe of mango laddu. 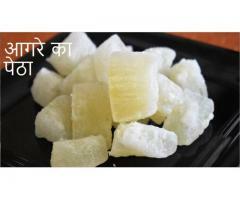 This is a homemade sweet recipe which is prepared with fresh mango pulp and condensed milk. Roast desiccated coconut for 2 minutes on low flame. Take out in a plate. Add mango pulp in a wok and cook for a minute on low flame. Now it is gathered in wok. Add cardamom powder. Switch off the flame. Transfer in a plate and allow to cool. Prepare small balls from the mixture. Prepare all laddus like this. Roll them in dry desiccated coconut. 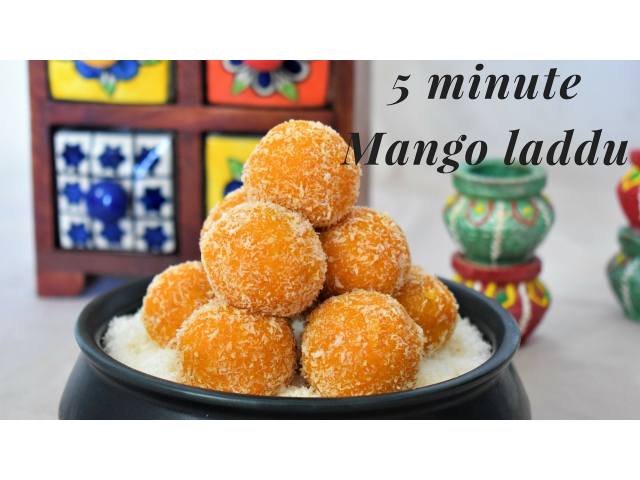 Delicious mango laddus are ready to serve.